Here you have a Hobbyzone HBZ4480 BNF Radio Control Ultra-Micro Electric Airplane !! This plane has a 24.3 inch wingspan and it is 100% Z-Foam Construction. It is 16.3 inches long, it weighs about 2 oz, it comes totally built, includes Motor, Receiver, ESC, Servo's, Battery Pack, Charger and is ready to bind & fly !! These exact Kits sell for $129.99 plus tax or shipping at any hobby dealer, and are Well Worth It ~!! 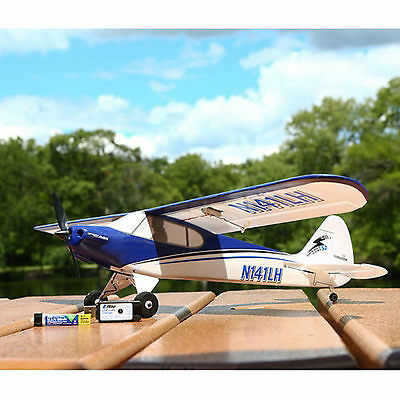 This package will include the Complete Airplane With ALL Electronics, Motor, 3.7 Volt 150mah (1) Cell Battery Pack, DC Charger and Original Protective Storage Box !! Here you can open box, charge & install on-board battery pack, bind to any DSM2 or DSMX 2.4Ghz Transmitter and you are in flight !! You will get this Very Nice Blue & White Color pattern for Great Visibility, and if you Buy Now you can receive it in just a "few days" !!! OK, so Thank You For Looking and Please Check My Other "BUY IT NOW OFFERS" For More BNF Planes, ARF Planes, Helicopters, Cars, Trucks, Boats, Motors, Parts, Accessories and Many More Great Deals ! !